I came across some excellent diver unboxing albums posted by Reddit users the other day: an unboxing of a Stuckx ‘The Bull’ (I wrote about their successful Kickstarter crowdsourcing project here) and an album of the Oris Aquis Date. And redditor RubberDuck69 posted pictures of opening up a brand new Oris Aquis Date in a thread here. The Oris Aquis is one of my top picks for best dive watches in the $500 to $1000 range, and definitely worth checking out for anybody interested in a quality diver. The newest diver from Hamilton is a re-release of a vintage model: the Khaki Navy Frogman was worn by U.S. Navy dive teams during the middle of the 20th century, and has received quite the facelift from Hamilton. 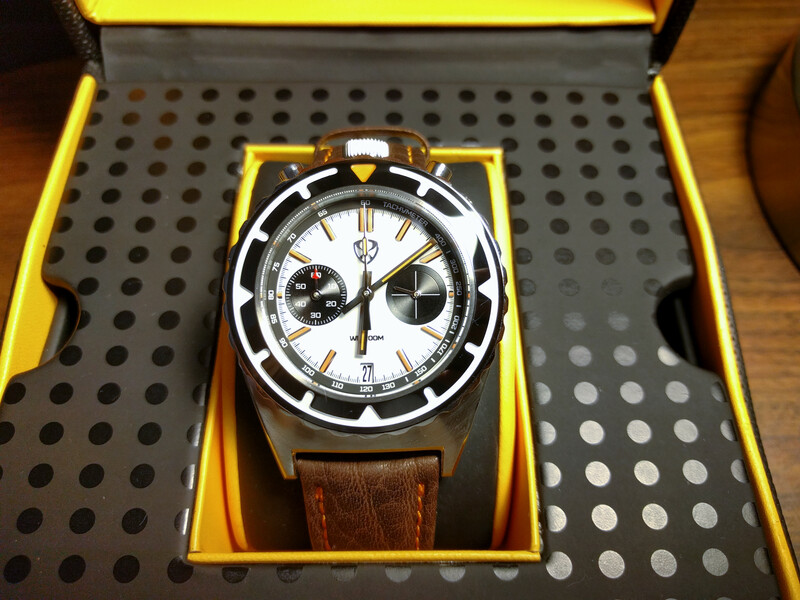 A great review coming from A Blog to Watch of the Zodiac Sea Wolf 53 Compression diver. Zodiac, part of the Fossil Group, has been making divers for quite a long time. The Sea Wolf is also the name of their first diver, which came out in the 1950’s aimed at the commercial dive market. OceanicTime brings word of the first diver out of the local-to-me, Seattle based outdoor outfitter Filson. Coming in many different dial and bezel color combo’s, I think the Dutch Harbor is quite attractive, especially for a first watch out of a company. You can get more details here at OceanicTime, or directly from Filsons site here.